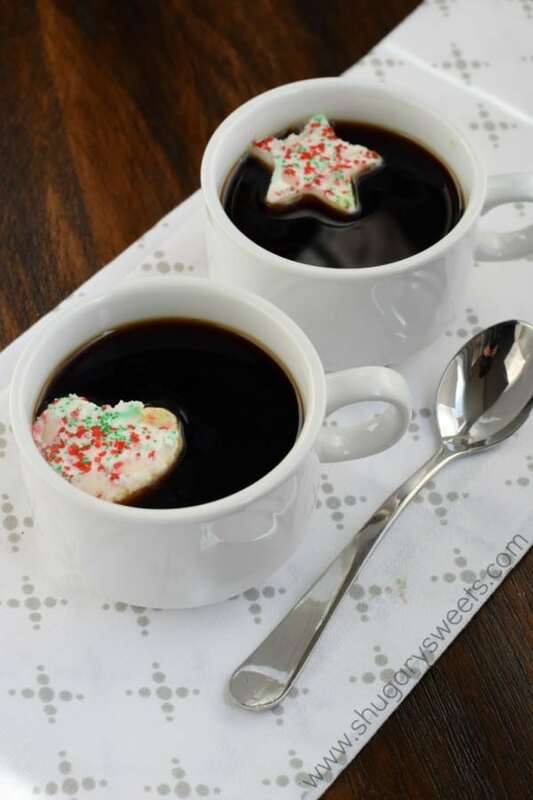 Looking for a way to take your hot beverage to the next level (without alcohol, haha)?!? 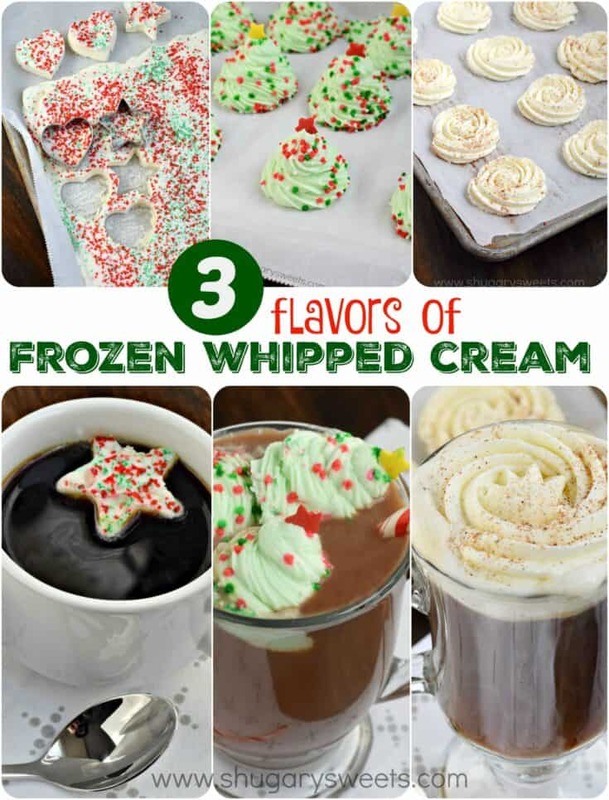 Try making this Frozen Whipped Cream Topping…so many flavor combos! It’s no secret that I love coffee. I mean, I am pretty sure I have made that pretty loud and clear both here on the blog and on my instagram. However, I’m also a big fan of hot chocolate, whipped cream, and coffee creamers. 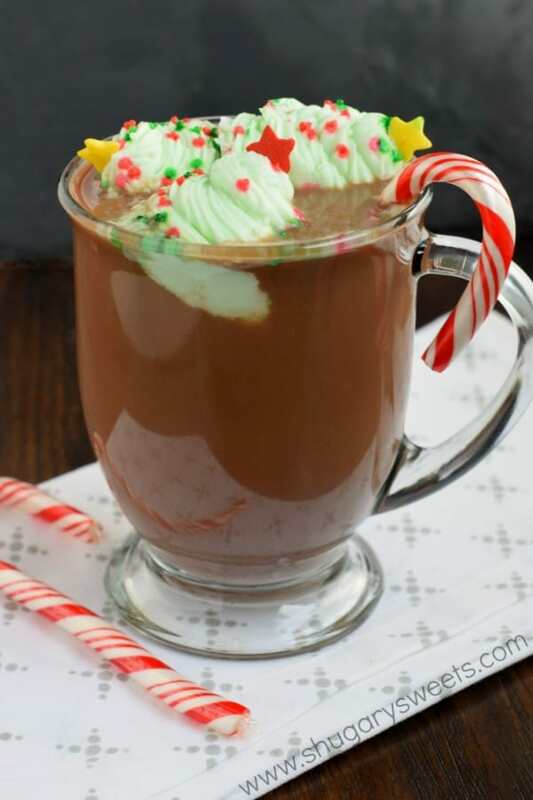 My kids share this love of mine by making themselves a hot cocoa and adding coffee creamer for a kick of flavor (peppermint and french vanilla are great additions)! Whipped cream is also a must. I mean, we all want to sport our milk mustaches this time of year, and homemade whipped cream is the way to go! Dairy is an important part of our lives, to help build strong bones and keep my kids healthy. You make your homemade whipped cream topping and FREEZE it. Mind blown you guys. I started doing this years ago and it’s such a fun way to keep this special treat on hand, especially during the holidays! Make your homemade whipped cream. Spread it onto a parchment paper lined 15x10x1-inch baking sheet. Use small 1-inch cookie cutters to create festive treats. Store in a ziploc bag for future use. Great on top of cocoa or coffee! Want to get a little more festive? 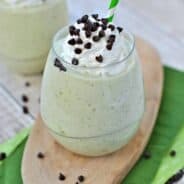 Add peppermint extract and a drop of green food coloring to your homemade whipped cream. Remove from parchment and store in a ziploc bag for future use. Add rum extract to your homemade whipped cream. Remove from parchment paper and store in a ziploc bag for future use. 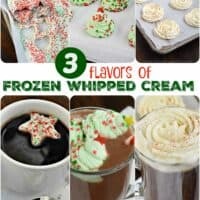 Great on top of cocoa, coffee or eggnog! 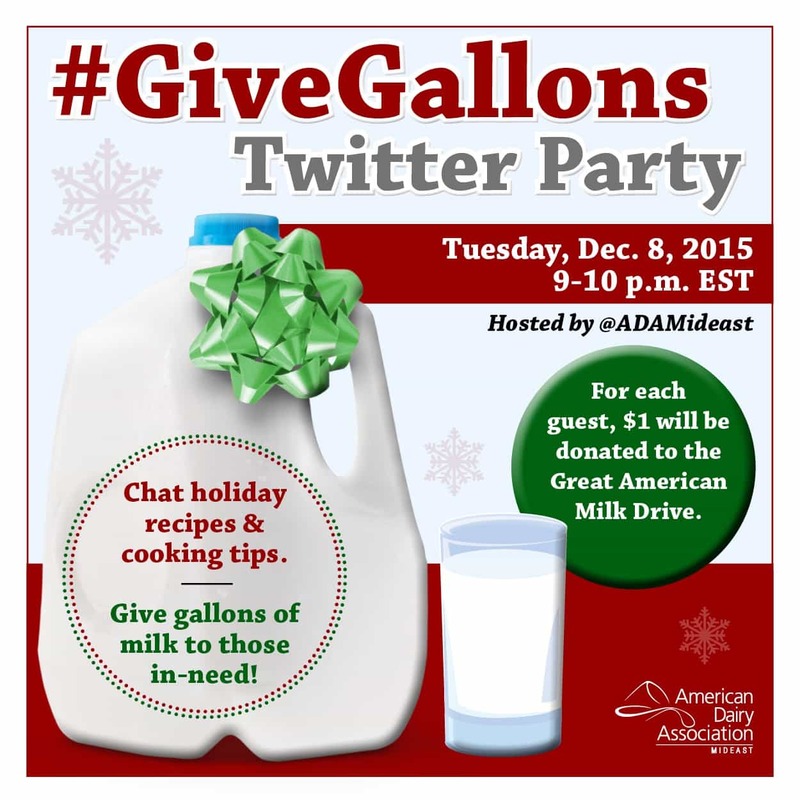 I’ve teamed up with the American Dairy Association, Mideast again this holiday season! ADA Mideast will donate 25 cents, the average cost of 1 glass of milk, to the Great American Milk Drive for every “like,” comment or share each of the bloggers’ 10 recipes receive on its Facebook page between Giving Tuesday on Dec. 2 and Dec. 11, up to $3,000!! You can find out how much milk has been donated so far in YOUR state by visiting https://milklife.com/give. Milk is the No. 1 nutritious product requested by food bank clients, but it is rarely donated. The Great American Milk Drive is delivering thousands of gallons of milk to families who would otherwise go without. A $5 donation gives a gallon of milk to a family in-need. In a large mixing bowl, beat heavy cream with sugar until stiff peaks form (several minutes). Spread in a parchment paper lined 13x9 baking dish. Add sugar sprinkles. Freeze for 4 hours, or overnight. Using small, 1-inch cookie cutters, cut shapes. Enjoy immediately, or return to freezer in an airtight container. Use within 3-4 weeks. In a large mixing bowl, beat heavy cream with sugar, peppermint extract, and food coloring, until stiff peaks form. Spoon into a disposable piping bag with tip and make upward swirls to form Christmas trees onto a parchment paper lined baking sheet. Add sprinkles and a star on top (or a red hot). Freeze for 4 hours or overnight. Slide off of parchment paper and freeze in airtight container for up to 3-4 weeks. In a large mixing bowl, beat heavy cream with sugar and rum extract until stiff peaks form. Spoon into a disposable piping bag with tip and form swirls by starting in the center and making a circle (onto a parchment paper lined baking sheet). Sprinkle with nutmeg. Cooking with milk is an easy (and delicious!) way to add calcium and other essential nutrients to holiday dishes. 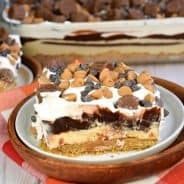 Milk also adds a bit of sweetness to recipes and encourages the browning reactions you see in many tasty holiday treats, such as in pastry crusts and cookies. 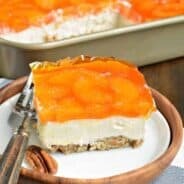 Yogurt adds creaminess and a bit of tang to recipes. One cup of plain yogurt is packed with 13 grams of protein, is an excellent source of calcium, and a good source of magnesium and potassium. Use buttermilk to ensure extra tenderness, moistness and flavor when baking. The name “buttermilk” sounds rich, but buttermilk is surprisingly low in fat and calories and is high in protein, and calcium. Including Greek yogurt in recipes can help you stick to a healthy diet during the holidays! Why? Greek yogurt is high in protein, which helps to keep you fuller longer, and it packs in dairy’s nine essential nutrients. Try it in dips, sauces, soups and other holiday favorites! Add some cheese, please! When paired with fruits, vegetables and whole grains, cheese may help people eat more of these recommended food groups, including dairy. Keep those guests who may be lactose intolerant in mind when planning holiday menus! That doesn’t mean eliminating dairy. Most cheeses contain minimal amounts of lactose, including Cheddar, Colby and Swiss. Use lactose-free milk in recipes that call for cow’s milk, and create yogurt-based dishes. The live and active cultures in yogurt help digest lactose. This is such a great idea Aimee! Easy, super festive treats are my VIPs this time of year. I’m a huge coffee lover too and (one of my) daily cups needs this! Wow. Frozen, piped whipped cream. I’m in such awe right now! These would also be so great on top of pie or anything at all! This is such a perfect idea! It’s such a simple thing to do before a Christmas party, and then forget about it until you need it. Pinning! This is such an awesome idea, Aimee! 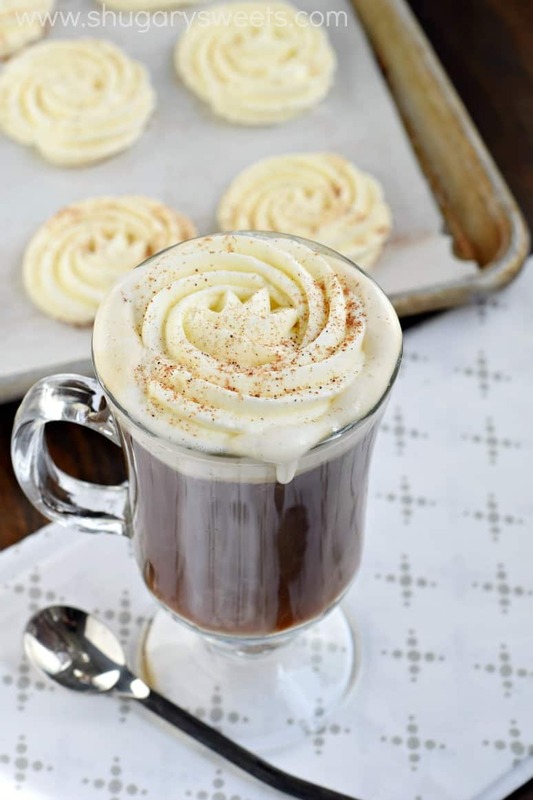 I love the idea of the eggnog rosette on top of a steaming cup of hot cocoa. Delicious! This is seriously the most brilliant idea EVER! I need to try all these flavors – bring on all the awesome hot chocolate creations! Pinned! So festive and perfect for the holidays! This is SUCH a great idea Aimee!! I’m totally doing it for Jordan’s Christmas party this year. SO FUN! I cannot stop giggling at those frozen Christmas trees. They are so cute! Such a great idea! Every time I make hot chocolate, I wage an internal battle over whether or not I want to take the time to make whipped cream to go on top. Now I can just keep a batch of these in my freezer. Love it! This is seriously such a great way to make coffee or hot chocolate time more fun!!!! I need to make a pan of fun toppings…but it will have to wait until I move!!! This is so AMAZINGLY clever! Thanks for sharing! I want to try them ALL! What a fun idea for a party! this is literally the best thing since sliced bread….you know that right??!! amazeballs! HOW have I never tried this! i adore the lil frozen whipped toppings! What? This is incredibly AWESOME! A couple of questions – does the frozen cream thaw quickly when placed in hot coffee or chocolate? And does it cool the drink off much?